By the beginning of 1865, Fort Fisher, North Carolina, was the last port under the control of the Confederate Army. Fort Fisher fell to a combined effort of the Union Army and the US Navy on 15th January. Meanwhile in the early weeks of 1865 the army removed all resistance in the Shenandoah Valley. 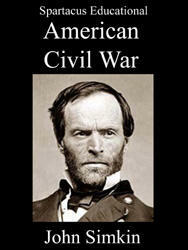 General William Sherman and his army moved north through South Carolina. On 17th February, Columbia, the capital of South Carolina, was taken. Columbia was virtually burnt to the ground and some people claimed the damage was done by Sherman's men and others said it was carried out by the retreating Confederate Army. Sherman now headed towards central Virginia to unite with General George Meade and his Army of the Potomac east of Richmond and with General Benjamin Butler and his forces at Bermuda Hundred. On 1st April Philip H. Sheridan attacked at Five Forks. The Confederates, led by Major General George Pickett, were overwhelmed and lost 5,200 men. On hearing the news, Robert E. Lee decided to abandon Richmond and join Joseph E. Johnson and his forces in South Carolina. President Jefferson Davis, his family and government officials, was forced to flee from Richmond. The Union Army quickly took control and on 4th April, President Abraham Lincoln entered the city. Protected by ten seamen, he walked the streets and when one black man fell to his knees in front of him, Lincoln told him: "Don't kneel to me. You must kneel to God only and thank him for your freedom." Lincoln travelled to the Confederate Executive Mansion and sat for a while in the former leader's chair before heading back to Washington. Robert E. Lee was only able to muster an army of 8,000 men. 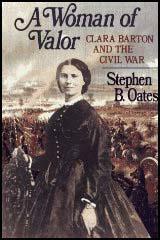 He probed the Union Army at Appomattox but faced by 110,000 men he decided the cause was hopeless. He contacted Ulysses S. Grant and after agreeing terms on 9th April, surrendered his army at Appomattox Court House. Grant issued a brief statement: "The war is over; the rebels are our countrymen again and the best sign of rejoicing after the victory will be to abstain from all demonstrations in the field." Six days later, Abraham Lincoln was assassinated by John Wilkes Booth. A Southern Democrat, Andrew Johnson of Tennessee, was now the president of the United States. 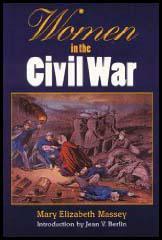 It has been estimated that 120,012 men were killed in action during the American Civil War. A further 64,582 died of their wounds. However, the greatest danger facing soldiers during the war was not bullets but disease. It is believed that 186,216 soldiers died of a variety of different illnesses during the conflict. Large numbers of the soldiers came from rural areas and had not been exposed to common diseases such as chicken pox and mumps. Living in unhealthy conditions and often denied properly medical treatment, soldiers sometimes died of these diseases. For example, 5,177 soldiers in the Union Army died of measles during the war. The main killer diseases were those that resulted from living in unsanitary conditions. Union Army records show that a large number of its soldiers died from diseases caused by contaminated food and water. This included diarrhea (35,127), typhoid (29,336) and dysentery (9,431). Drinking from streams occupied by by dead bodies or human waste and eating uncooked meat were the cause of large numbers of deaths. Regular soldiers who had been trained to be more careful about the food and water they consumed, were far less likely to suffer from intestinal disease that volunteer soldiers. Large numbers of soldiers died from tuberculosis (consumption). Official records show 6,497 soldiers died of the disease in the Union Army. However, a much larger number were discharged because of poor health and died later. It is estimated that smallpox killed 7,058 Union Soldiers. Another 14,379 died of malaria. Although the exact number of Confederate Army deaths from malaria is not known, there were 41,539 cases in an 18 month period (January, 1862-July, 1863) in South Carolina, Georgia and Florida. The cause of the disease was not known and soldiers often slept without the protection of mosquito nets. When the Union Army arrived in Andersonville in May, 1865, photographs of the prisoners were taken and the following month they appeared in Harper's Weekly. The photographs caused considerable anger and calls were made for the people responsible to be punished as war criminals. It was eventually decided to charge General Robert Lee, James Seddon, the Secretary of War, and several other Confederate generals and politicians with "conspiring to injure the health and destroy the lives of United States soldiers held as prisoners by the Confederate States". In August, 1865 President Andrew Johnson ordered that the charges against the Confederate generals and politicians should be dropped. However, he did give his approval for Henry Wirz, the commander of Andersonville to be charged with "wanton cruelty". Wirz appeared before a military commission headed by Major General Lew Wallace on 21st August, 1865. During the trial a letter from Wirz was presented that showed that he had complained to his superiors about the shortage of food being provided for the prisoners. However, former inmates at Andersonville testified that Wirz inspected the prison every day and often warned that if any man escaped he would "starve every damn Yankee for it." It also emerged that of the 49,485 prisoners who entered the camp, nearly 13,000 died from disease and malnutrition. Henry Wirz was found guilty on 6th November and sentenced to death. He was taken to Washington to be executed in the same yard where those involved in the assassination of Abraham Lincoln had died. The gallows were surrounded by Union Army soldiers who throughout the procedure chanted "Wirz, remember, Andersonville."